(High Point, NC, September 10, 2010) Advanced Home Care has been announced a Silver winner of the sixth-annual Health at Work Awards sponsored by ComPsych, honoring organizations who promote employee health and wellness. Winners were selected based on their wellness program’s comprehensiveness, delivery, promotion, participation rates and results achieved. ComPsych Corporation is the world’s largest provider of employee assistance programs and worldwide leader in GuidanceResources (EAPs, behavioral health, work-life, wellness and crisis intervention services). Advanced Home Care is a not for profit home care organization that provides skilled home health services, respiratory therapy, infusion therapy and medical equipment services in patients’ homes. One of the largest home health companies in the country, Advanced Home Care has 28 branches located throughout North Carolina, Tennessee, South Carolina and Virginia, and is a joint venture of Moses Cone Health System, High Point Regional Health System, and eleven other health systems throughout these areas. Advanced Home Care’s headquarter is located in High Point, NC. 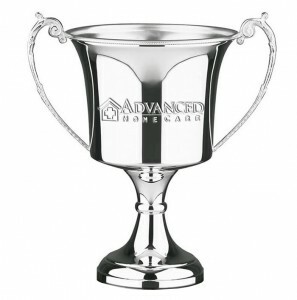 For more information about Advanced Home Care, visit www.advhomecare.org. ComPsych® Corporation is the world’s largest provider of employee assistance programs (EAPs) and is the leading provider of fully integrated EAP, behavioral health, wellness, work-life, crisis intervention services and HR and FMLA administration services under the GuidanceResources® brand. ComPsych provides services to more than 13,000 organizations covering 33 million individuals throughout the U.S. and more than 100 countries. Follow ComPsych on Twitter: http://twitter.com/ComPsych.